In July of this year, President Obama announced a plan to reduce carbon dioxide emissions from electricity generation by 32 percent from 2005 levels by the year 2030. As anticipated, this has kicked off a furious debate, with critics characterizing Obama's Clean Power Plan as a job killer, and offering the "China excuse" for opposing it. After all, why should the US reduce emissions when China, the biggest current emitter of greenhouse gases, has not committed to mandatory reductions? This is a powerful argument in a period of economic crisis, growing income inequalities, and the fear that American jobs are being shipped abroad to countries such as China that have not committed to mandatory emission reductions. The scientific case for carbon mitigation is a powerful one. Societies need to reduce their emissions of greenhouse gases before the tipping point occurs. Various reports by the Intergovernmental Panel on Climate Change (IPCC) attest to the need for climate change mitigation. Exhortations by prominent global leaders such as Pope Francis and inter-governmental efforts, such as the upcoming COP21 conference in Paris, are examples of the continued policy focus on mitigation. Yet, mitigation-based approaches have run into serious political problems. Furthermore, it is not clear how countries such as China and India are going to enforce mitigation targets domestically, even if they were to be persuaded to sign on to mandatory emission reductions. As the vast literature on international treaties produced by political scientists suggests, compliance with these agreements tends to be patchy. Instead of investing political capital predominantly towards mitigation, we suggest re-orienting the policy focus and paying serious attention to adaptation to climate change. Examples of climate change adaptation measures include using scarce water resources more efficiently, adapting building codes to take into account future climate conditions and extreme weather events, and developing drought-tolerant crops.1 The issues of drought, water shortages, food shortages, rising sea levels, and over-worked electricity grids need to be addressed urgently.2 Scholars, national governments, cities, international organizations, and the IPCC acknowledge the importance of adaptation.3 Yet, in terms of devoting real resources, adaptation is being neglected. This needs to change. Devoting political and economic resources to adaptation will eventually create the political momentum for serious, not just symbolic, mitigation policies. When citizens are asked to pay for adaptation, they will begin to recognize the true costs of global climate change for their communities and for their own well-being. For example, the local government of a coastal city imposes a new tax on households to pay for a new seawall that can withstand rising sea levels; an electric utility imposes a surcharge on its customers to pay for a new grid that can handle peak power demands due to high summer temperatures; or the water utility company introduces a water levy to pay for water harvesting structures it is installing in order to respond to changing rainfall patterns characterized by short but intense downpours with huge water runoff. Faced with these new costs, citizens will begin to appreciate the implications, for them, of not addressing climate change.4 Consequently, citizens will hopefully be less likely to invoke the "China excuse" for policy inaction and be more willing to support climate change mitigation. Viewed in this way, adaptation can be interpreted as a temporary, but strategic, withdrawal to educate citizens of the dangers of ignoring climate change. The political opposition to mitigation has multiple justifications. As political scientists have shown, policies that impose concentrated costs on a few actors, but create diffused benefits for others, are likely to meet with strong opposition.5,6 Second, this opposition is accentuated when these costs are incurred by the "policy losers" in the short run, while the benefits can be observed only in the long run. Third, if these benefits are non-excludable, meaning it is difficult to exclude others from benefiting from climate change mitigation, this creates a "free rider" problem.7 Since few want to be "suckers," actors will be reluctant to incur costs in order to create benefits that the free riders can enjoy. Fourth, the opposition to the proposed policy is likely to be especially acute if the policy losers perceive the alleged free-rider to be a political and economic competitor who is steadily gaining advantage across multiple issues. The political opposition to mitigation lies in the fact that mitigation imposes costs on the US fossil fuel and energy intensive sectors while providing benefits that may occur in the long run to a large number of unspecified people anywhere on the globe. Not surprisingly, policy losers oppose mitigation policies. Furthermore, the backlash against mitigation might be attributed to the rising economic and political salience of China, the perception that American jobs are being shipped overseas, and that China continues to build coal-fired electricity plants while Americans are asked to cut down on emissions. For the West Virginia miner, mitigation implies she/he will lose the major source of her/his livelihood in order to subsidize affluent Chinese or Indian consumers. It is difficult to explain to this miner, who is facing economic stress, that equity considerations demand that we look at cumulative instead of current emissions. In contrast to mitigation, the political logic of adaptation is compelling. While successful mitigation requires global collective action, adaptation can be successful even when undertaken unilaterally. Importantly, adaptation-related investments create local benefits, not global public goods. Thus, adaptation does not suffer from the free rider problem—those paying for it will also benefit from it. It is difficult to offer the "China excuse" for ignoring adaptation. Adaptation-based approaches can leverage the poly-centric governance model that scholars at the Vincent and Elinor Ostrom Workshop in Political Theory and Policy analysis have developed. The core idea is that different collective goods are efficiently provided at different scales.8,9 Instead of asking a single governance unit, say the federal government, to provide all public goods, both scholars and practitioners should look at varying scales of such provision. Furthermore, the provision of public goods at different scales means that benefit spillovers can be minimized, and those benefiting from the policy can be expected to incur the costs as well. If adaptation requires city-level efforts, then the city government can undertake the investments. If it requires efforts of multiple jurisdictions, special adaptation districts can be created (such as school districts or water districts). The bottom line is that adaptation can be designed for any scale to ensure that: (1) it is provided at the most efficient scale; and, (2) beneficiaries of adaptation-related investments pay for much of the costs. In doing so, adaptation meets the canon of efficiency and, at the same time, minimizes free riding. We recognize that adaptation is not the silver bullet and faces policy problems as well.10,11 Some players that are vulnerable to global climate change may not be able to afford to invest in adaptation.12 Although we recognize the problems with foreign aid for environmental protection,13 as with mitigation, this sort of a fiscal mismatch can be handled by appropriate subsidies and other types of re-distributive policies. At the international level, the Global Environmental Facility, a partnership of 183 countries working with civil society, non-governmental organizations (NGOs) and the private sector to address environmental issues, is making adaptation funds available to developing countries. At the national level, modest assistance is available from the U.S. Environmental Protection Agency and the U.S. Federal Emergency Management Agency. We are not arguing for abandoning mitigation-based strategies. We are highlighting the logic of political opposition to mitigation and suggest re-balancing the short-term efforts towards adaptation. This is politically wise and practical. It is also urgent, given the severe drought in many regions of the US, rising sea levels, changing rainfall patterns, and declining snow packs. Investments in a variety of adaptation-related infrastructure projects, such as water storage, need to be made urgently. Utilities need to upgrade generation and transmission to meet the peak summer demand. Governments—be it city, county, state, or federal—will need to reconsider how to help economically underprivileged citizens who do not have private resources to individually adapt to these challenges. By creating local benefits, adaptation creates local constituencies that favor investments in climate change policies. 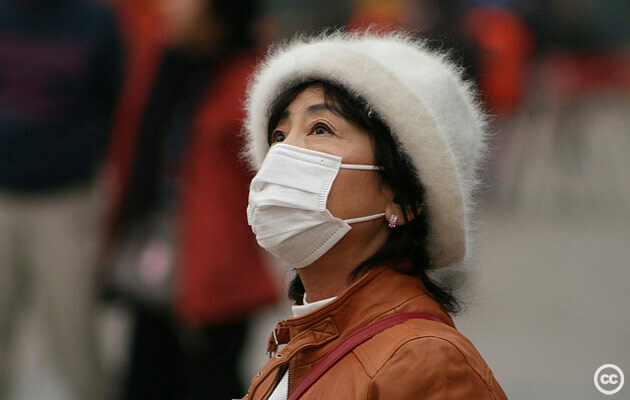 Not only does adaptation deprive politicians of the "China excuse," it creates new political coalitions to promote pro-environmental policies. As adaptation gathers steam, various groups will begin to recognize the costs of ignoring global climate change.14 In the long term, instead of crowding out mitigation, adaptation may create the political support for aggressive mitigation policies. Aseem Prakash is Professor of Political Science, the Walker Family Professor for the College of Arts and Sciences, and the Director of the Center for Environmental Politics at University of Washington, Seattle. He is the General Editor of the Cambridge University Press Series in Business and Public Policy, the Co-Editor of Journal of Policy Analysis and Management, and the Associate Editor of Business & Society. He is the author of Greening the Firm (Cambridge, 2000), and co-author of The Voluntary Environmentalists (Cambridge, 2006). His co-edited books include Advocacy Organizations and Collective Action (Cambridge, 2010) and Voluntary Programs: A Club Theory Perspective (MIT Press, 2009). (Volume 6 | Issue 4 | Page 27-29 | Nov 2015) under the Creative Commons-Share Alike license. 1. European Commission. Adaptation to climate change. [online] (2015)http://ec.europa.eu/clima/policies/adaptation/index_en.htm. 2. Lobell, DB et al. Prioritizing climate change adaptation needs for food security in 2030. Science 319, 607-610 (2008). 3. Ford, J.D., L. Berrang-Ford, and J. Paterson. A systematic review of observed climate change adaptation in developed nations. Climatic Change 106, 327-336 (2011). 4. Dolšak, N. Climate change policy implementation: a cross-sectional analysis. Review of Policy Research 26, 551-570 (2009). 5. Lowi, T. American business, public policy, case studies, and political theory. World Politics 16, 677-715 (1964). 6. Wilson, J, ed. The Politics of Regulation (Basic Books, New York, 1980). 7. Olson, M. The Logic of Collective Action (Harvard University Press, Cambridge, MA, 1965). 8. Ostrom, V., C. Tiebout, and R. Warren. The organization of government in metropolitan areas: A theoretical Inquiry.American Political Science Review 55, 831-842 (1961). 9. Ostrom, E. Governing the Commons (Cambridge University Press, Cambridge, UK, 1990). 10. Few, R., K. Brown, and E.L. Tompkins. Public participation and climate change adaptation: avoiding the illusion of inclusion. Climate Policy 7, 46-59 (2007). 11 Adger, W.N.,et al. Are there social limits to adaptation to climate change? Climatic Change 93: 335-354 (2009). 12. Thomas, D.S.G. and C. Twyman. Equity and justice in climate change adaptation amongst natural-resource-dependent societies. Global Environmental Change 15, 115-124 (2005). 13. Lim, S., V. Menaldo, and A. Prakash. Foreign aid, economic globalization, and pollution. Policy Sciences 48, 181-205 (2015). 14. Carrico, A.R. et al. Does learning about climate change adaptation change support for mitigation? Journal of Environmental Psychology 41, 19-29 (2015).